EA failed to deliver on a promise they made and didn't properly tell anyone beforehand. This has not made people happy. Gamers tend to be an easily angered bunch. Changing a character's look or trying something new can cause a developer's forums to explode. When every little thing provokes a giant reaction, it makes things a little hard to gage. 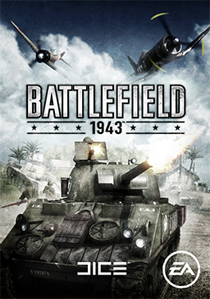 There was plenty of that anger leveled at EA recently when they failed to include a copy of 'Battlefield 1943' with every PS3 copy of 'Battlefield 3,' something they promised back in June. Worse, EA failed to announce that this change had occurred, leaving fans to assume that everything was on track. Angry fans, of course, took to forums and social networking sites, but some took it farther than that and filed a class action lawsuit over the missing content. The suit isn't seeking money like most class action suits - it's just trying to get those 'Battlefield 1943' copies that were supposed to be there in the first place.